Improved health care cost-effectiveness: mihealth™ increases physician office efficiency and improves patient-physician communications. mihealth creates efficiencies in physicians’ office operations and in patient-physician relationships. It provides an access-anytime/anywhere electronic Personal Health Record and a secure messaging system. Patients, their families and others can become more engaged as health information is shared. mihealth received national Canada Health Infoway pre-implementation certification. 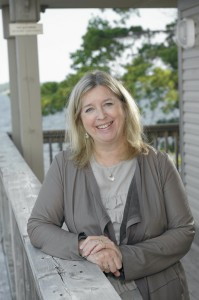 Dr. Wendy Graham is the President and CEO of Mihealth Global Systems Inc.
She was the Founder and 1st President of the Association of Family Health Teams of Ontario (AFHTO), and is the past Medical Director and Lead Physician with North Bay’s Blue Sky Family Health Team. She has been in full-time comprehensive family practice for over 20 years. Stephen Dreezer is the Chief Financial Officer of Mihealth Global Systems Inc.
A chartered accountant with many years of experience in private practice, as a senior financial executive with Ontario’s Ministry of Health and as a management consultant, he works closely with Dr. Graham on business and financial strategies, as well as Mihealth’s financial management.